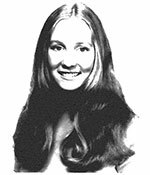 The 1972 unsolved homicide of Kathleen Randall. Kathleen Randall, age 18, a freshman from Boston University, was reported missing on September 19, 1972. She had been missing from her dorm since September 13, 1972. Her body was found at Yudicki Farm on Route 111-A in Nashua on October 1, 1972. All indication from the scene suggest that she had been deceased for some time. The manner of death was ruled undetermined by the medical examiner because of decomposition, but the circumstances surrounding her death indicate that foul play was involved. The case has been treated as a homicide.